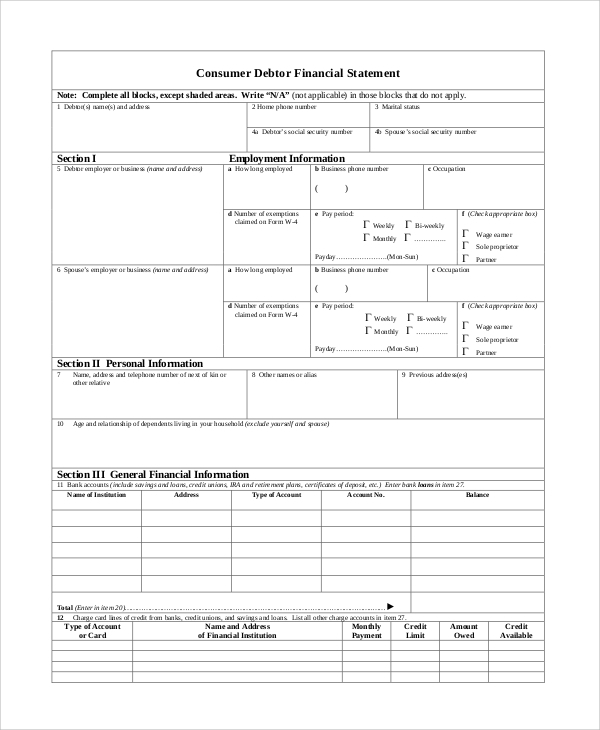 A personal financial statement is a form or some spreadsheet detailing a person’s financial state at a certain point in time. 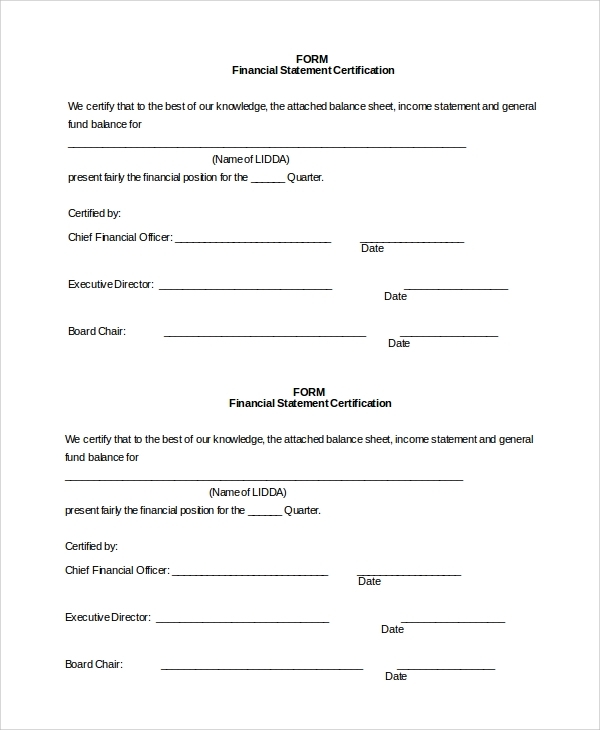 This statement form is primarily used to show a party’s worthiness of credits or showcase its financial stability. What it does is that it allows the party to get financing or loans from sources. However, most professionals find themselves uneducated about finance. 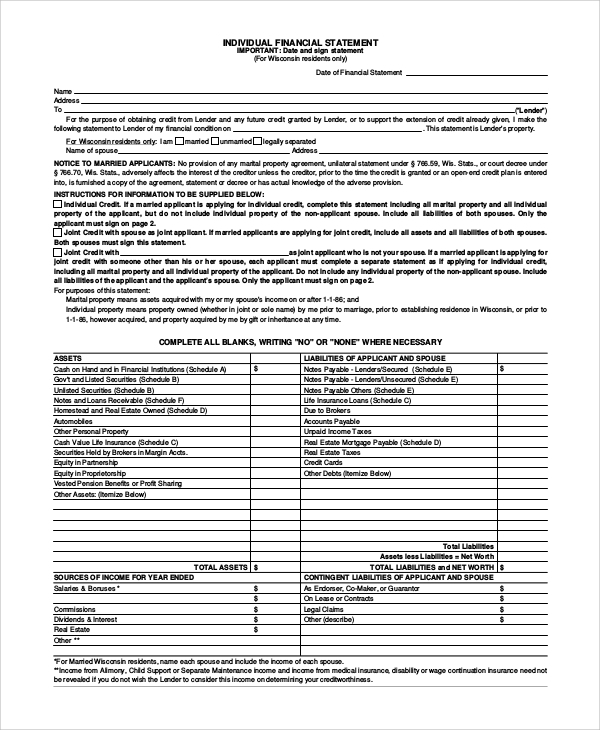 So here comes the Sample Forms to help them out. This is divided into several portions. It primarily has the name, address, important instructions to be followed and a table of assets and liabilities of applicant and spouse details. 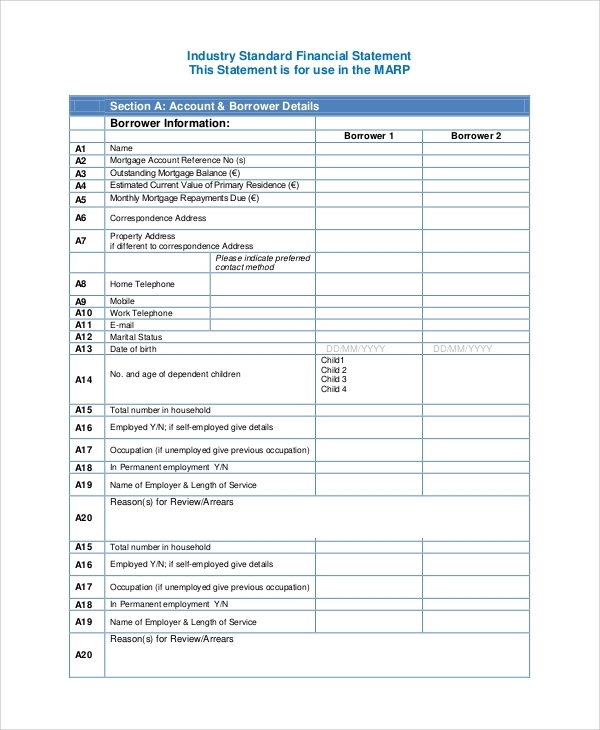 This is divided into several portions as well such as Employer Account Number, Name, and Address of Business List Owner, Partners, Officers, Major Shareholder, and details of all current assets. 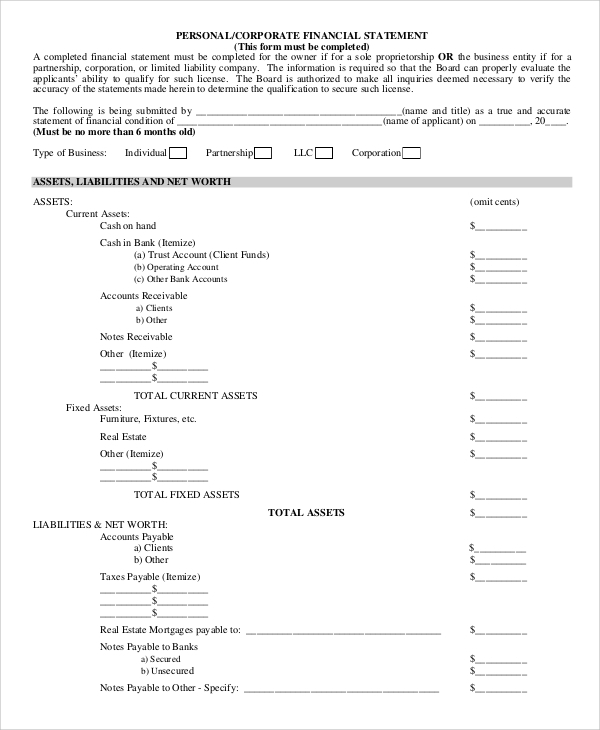 This is divided into several portions as well such as the type of business and all details of the owner, and also assets, liabilities and net worth and other details. The usage of financial statements is limitless and helps in multiple ways. It saves money, and you don’t have to hire professionals to do your work for you. And for large corporations, these statements are often too complex and may include handing over extensive sets of notes to the financial statement advisors and explain financial policies and include management discussion and analysis also. 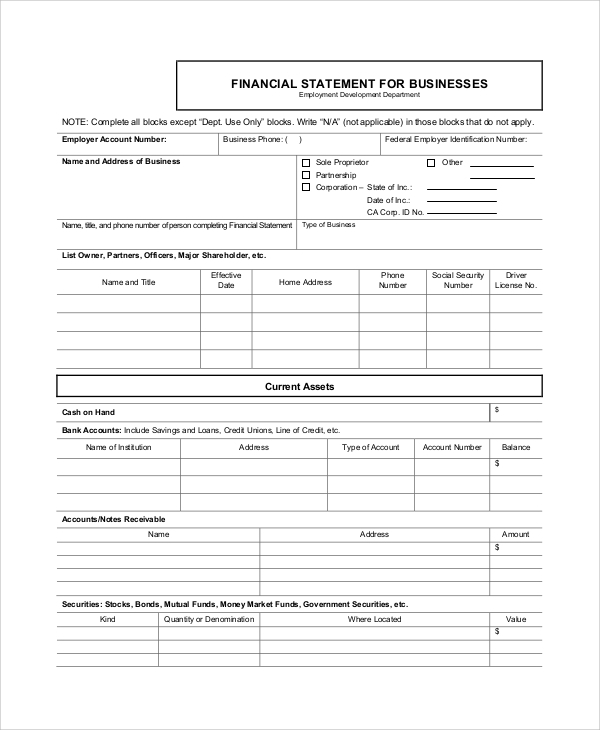 The Sample Statements explains and describes each item on the balance sheet, income statement, and cash flow statement in complete details. However, notes related to financial statements are always considered an integral part of the financial statements themselves. 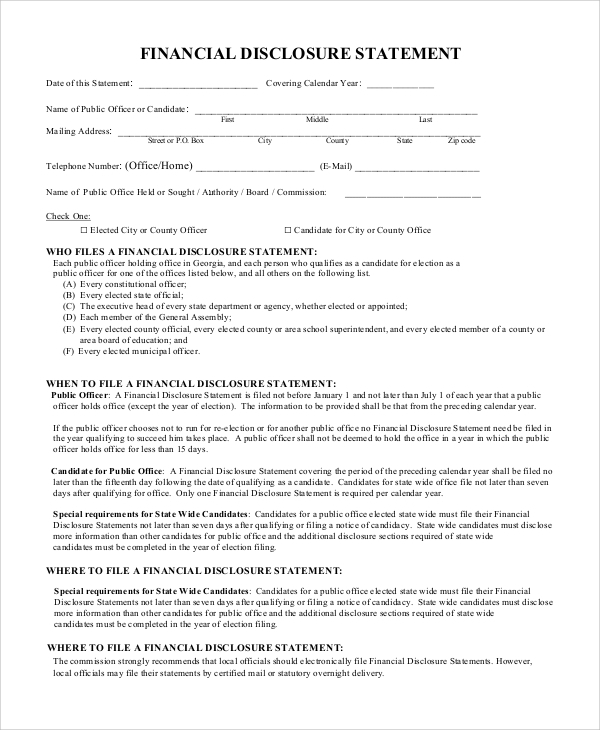 This has several details such as Date of this Statement, Covering Calendar Year, Name of Public Officer or Candidate, Mailing Address, Telephone Number, Name of Public Office Held and details. This is divided into several portions too, all having their relevant information. It has divisions like Benefits, Adjustments to Annual Income, Deductions from Income, Child Support, and Spousal or Parental Support. You can also see the Income Statement Examples. 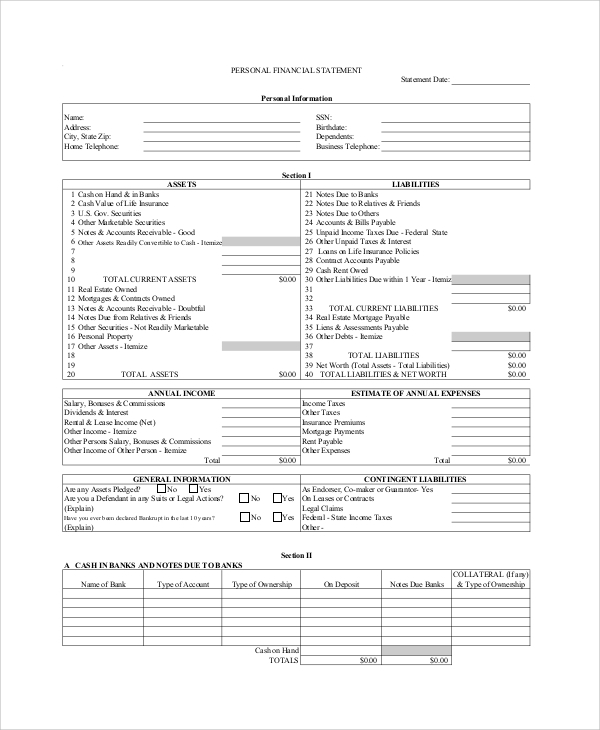 Most people go to lengths to hire accountants to make their Sample Personal Financial Statement Forms for them. This, however, is a very expensive option. 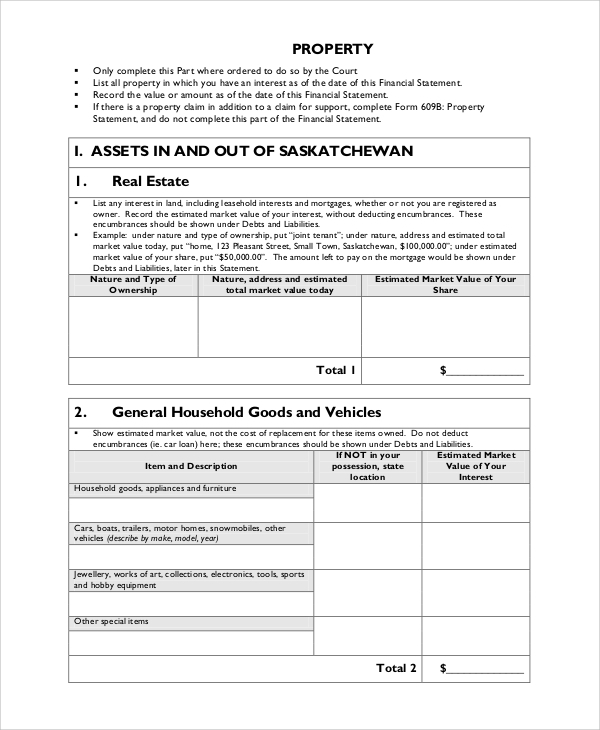 The right thing to do is to either fill out a free personal financial statement template or download a sample personal financial statement and build your own based on that example. This is a much cheaper alternative than hiring a professional and it saves your money and also ticks all the boxes when it comes to accuracy. It can often be tedious to make one all by yourself. These templates will be of great help to you. 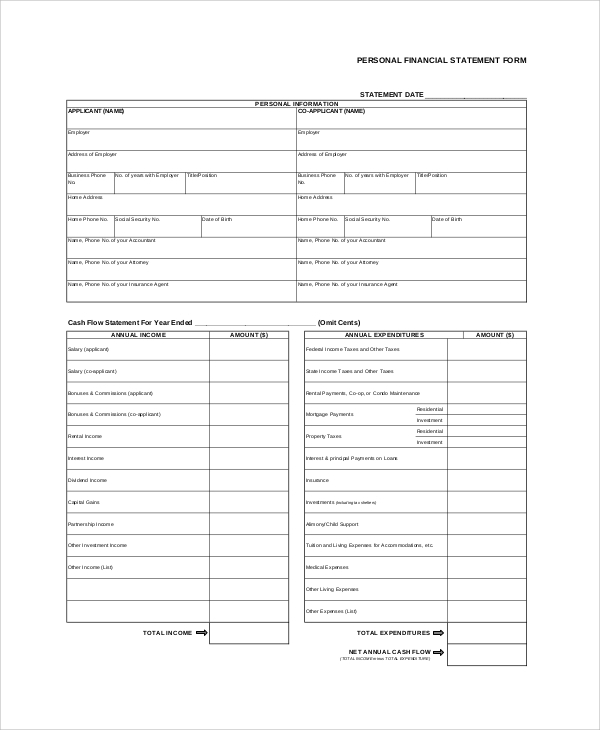 You can always choose from the wide range of Business Financial Statement Forms templates we have to offer. Never face confusion ever again with a statement. As such, they can be edited according to your specifications. And thus, you neither have to learn to create one nor do one from scratch.